In news media and popular culture, there are places where it is acceptable and common to use the term concussion and other places where you are more likely to hear traumatic brain injury. Concussions are indelibly linked to sports, especially after the 2015 Will Smith movie with the same name locked concussion and football together forever. Traumatic brain injuries, on the other hand, are saved for the big stuff—combat, Brian Stowe, massive car accidents, etc. It just sounds more permanent. A traumatic brain injury seems like it is going to plague you much more than a simple concussion. Even though concussions have developed a more sinister reputation, the term still doesn't conjure the long journey of disability that traumatic brain injury does. To understand the difference, it's important to understand how one encompasses both. All concussions are traumatic brain injuries, but not all traumatic brain injuries are concussions. Trauma is a medical term that denotes damage to the body through the application of force. A laceration is an example of trauma, as is a fracture, a contusion, or a sprain. Trauma is mechanical, in that there are forces that cut, hit, or crush. Car crashes, bullets striking the body, a punch in the nose: these forces are known as mechanisms of injury. You can't have trauma without a mechanism of injury. Traumatic brain injury (TBI) is a very straightforward way to describe damage to the brain caused by an outside force. There are other ways that the brain gets damaged, such as a stroke or cardiac arrest, but those are not from outside force. It's the force that makes it traumatic. There are two basic categories of TBI: closed or open. Open refers to the skull being broken or removed, allowing the outside force to act directly on the brain. A gunshot wound to the head would likely cause an open traumatic brain injury as the bullet enters the skull and comes in contact with the brain. Closed traumatic brain injuries (also called closed head injuries or CHI) happen through an intact skull. This basically means that the energy is transferred through the skull and surrounding tissues, but the external object causing the force never comes in direct contact with brain matter. Impact and the shockwaves that go through the gelatin-like tissues of the brain and surrounding membranes. The shockwaves travel in many unpredictable directions simultaneously and impact each other randomly throughout the brain. Imagine two or more people pushing down on opposite ends of a waterbed at the same time. The waves bounce back and forth across the waterbed, striking each other and causing the mattress to rock violently. That's what's going on inside an intact skull when the noggin takes a direct hit. Deceleration is the term used to describe how the brain squishes inside the skull. Imagine all of those crash-test videos you've seen. Notice how the dummy flies forward from his seat and slams into the dashboard? Our brains do the same thing when we strike our heads. Unfortunately, the bottom end of our brains—the brainstem—is attached to the spinal cord and doesn't really move with the rest of the brain. This causes the connections to stretch and tear. Rotation refers to the fact that we almost never hit our heads directly into an object. Usually, there's a glancing blow that results in a spinning or twisting motion. That violent twisting causes rotation inside the skull as well when the brain twists and stretches its tissues. Vibration is the reason we call it "getting your bell rung." The skull actually resonates when struck, just like a bell. That vibration causes more tearing and damage to the brain underneath the skull. It doesn't matter if the head is shaken violently (such as shaken baby syndrome) or struck by an object, the potential for injury to the brain inside is real and significant. Don't ever assume there isn't an injury just because no visible injury is present. The most well-known closed brain injury is a concussion. A concussion is one form of what is known as a mild traumatic brain injury. 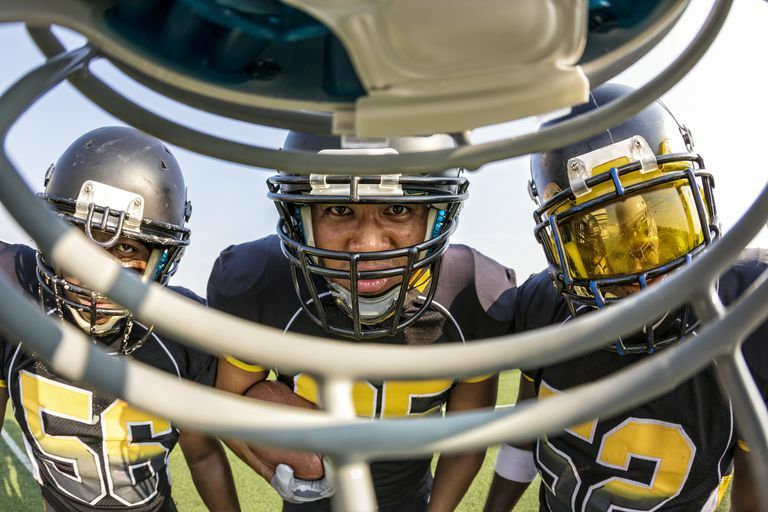 Concussions are mild in as much as they don't result in immediate danger of death, but they can bring long-term consequences. Concussions can be especially nasty over the long term if the patient sustains more than one of them. Boxers, for example, are known to have significantly higher incidences of depression and cognitive dysfunction than the rest of the population. This is thought to be because of the damage to their brains from repetitive blows. Concussions are notoriously difficult to diagnose. The basic diagnosis used to be based on a loss of consciousness after being struck in the head, followed by a loss of memory of the event. That combination is still a good indicator, but you don't have to see both a loss of consciousness and retrograde amnesia to call it a concussion. To truly identify an injury as a concussion takes a physician. Even better if there is a pre-injury evaluation performed, which provides a baseline for medical professionals to measure what, if any, loss of function has occurred after a hit.